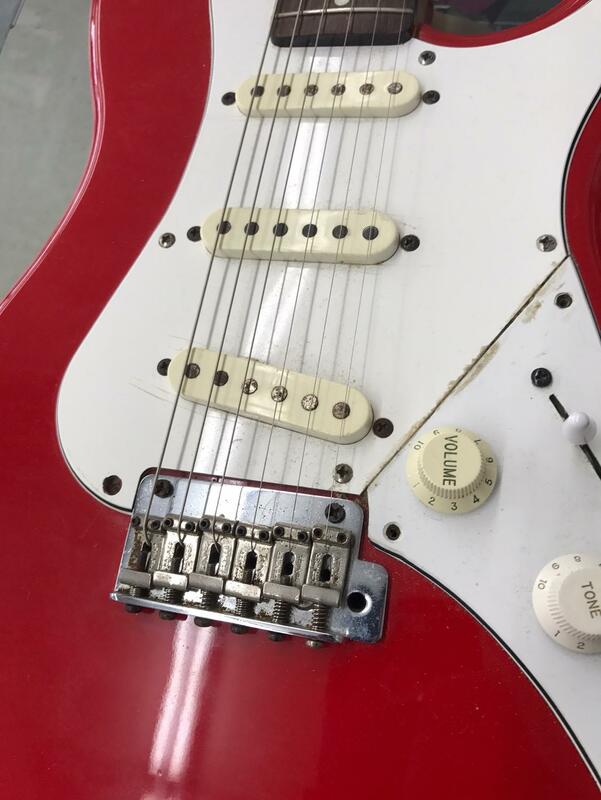 ShortScale :: View topic - 1987 MIK Squier Bullet strat-type, worth it? 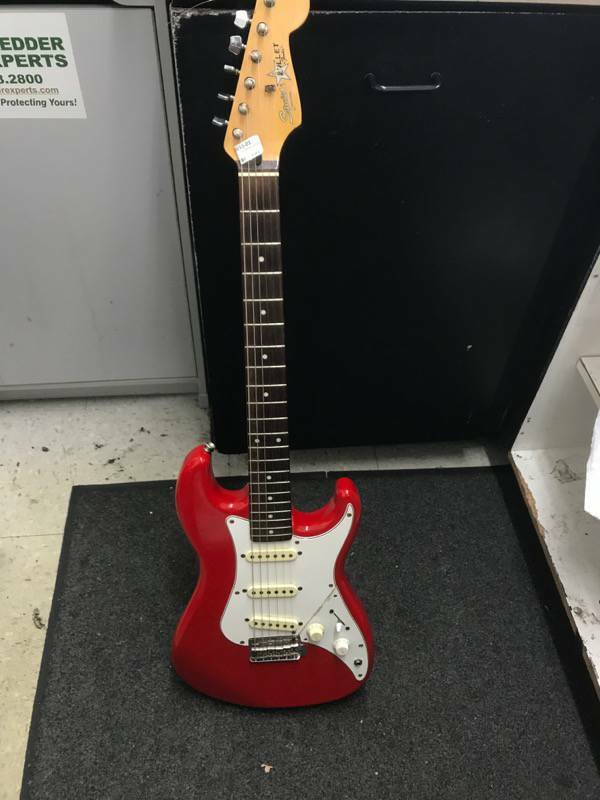 1987 MIK Squier Bullet strat-type, worth it? 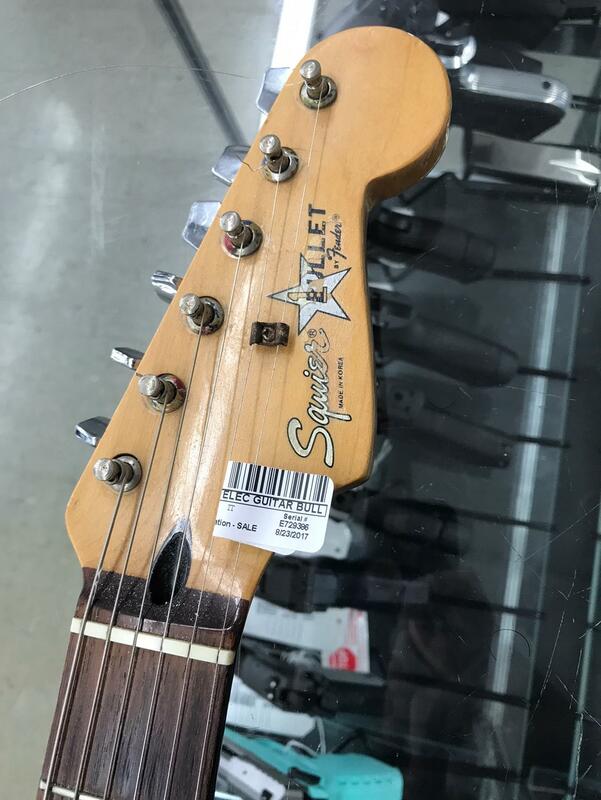 Posted: Thu Sep 07, 2017 4:52 pm Post subject: 1987 MIK Squier Bullet strat-type, worth it? Just saw this locally for $95... worth it or not? Yes. Never played one, but they normally go for much more than that I think. Decided against it. 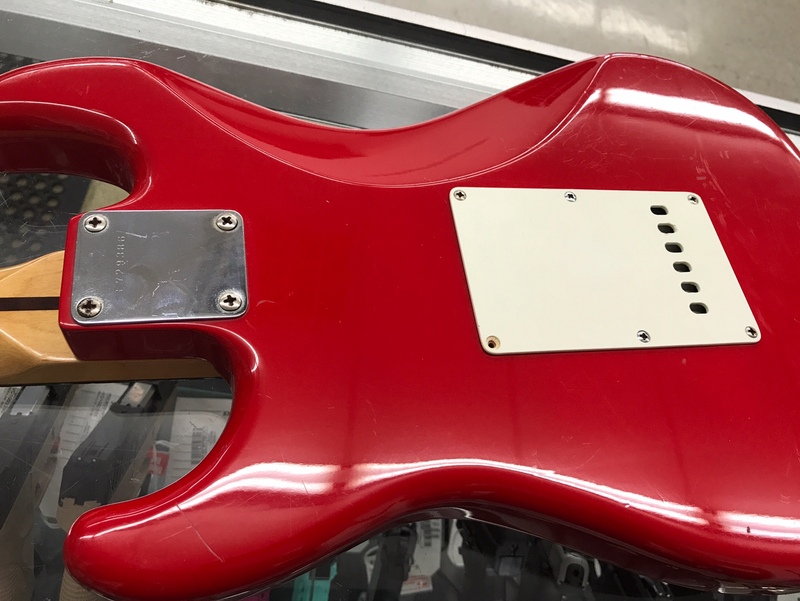 The pickguard is broken, and it needs new tuners, but the pawn shop who listed it doesn't want to go down. 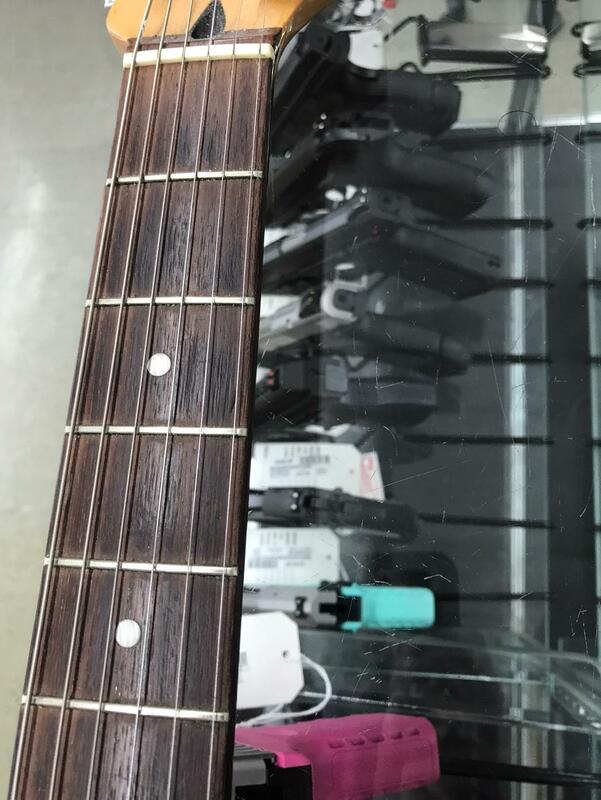 I would still pay that for it if the neck is nice. They fit tele neck pockets and have a nice glossy finish. I've owned two, an early 80s MIJ and a late 80s MIK. 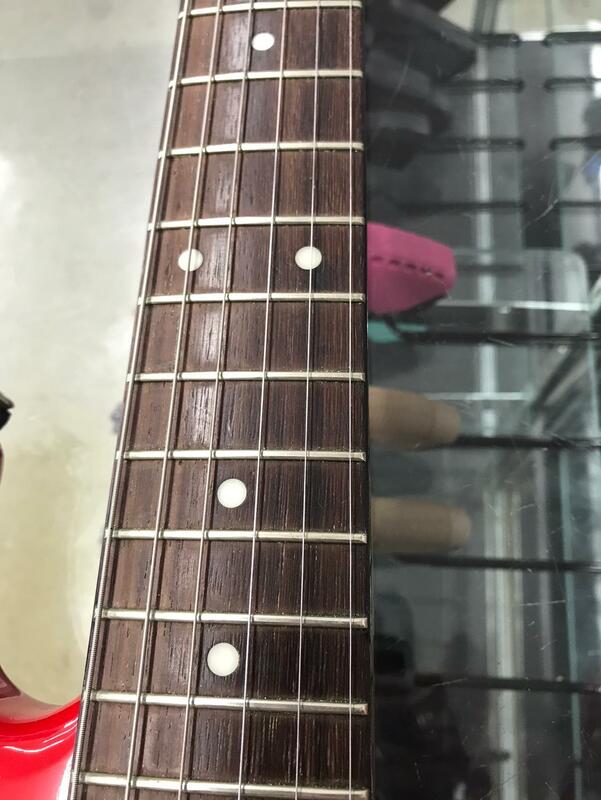 It's a wee bit steep, but the necks on those Korean Squiers are nice. 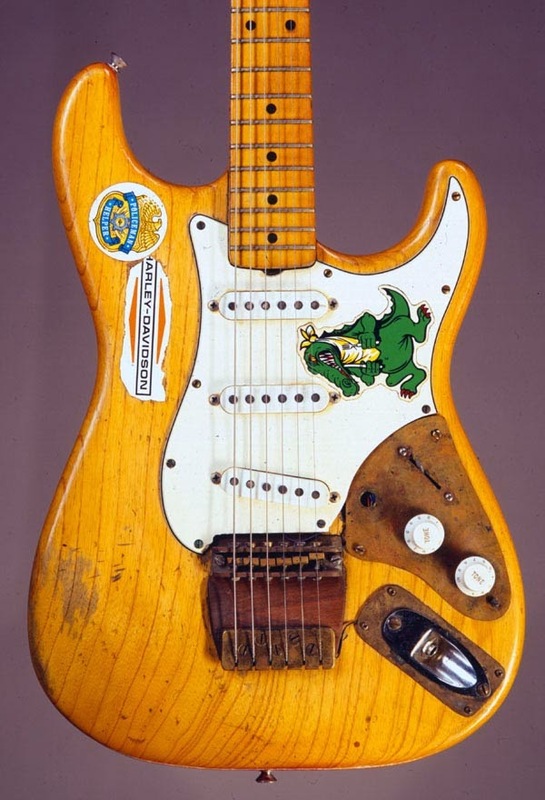 Not quite as skinny as a CIJ Mustang, but thin and smooth with an old-school radius. 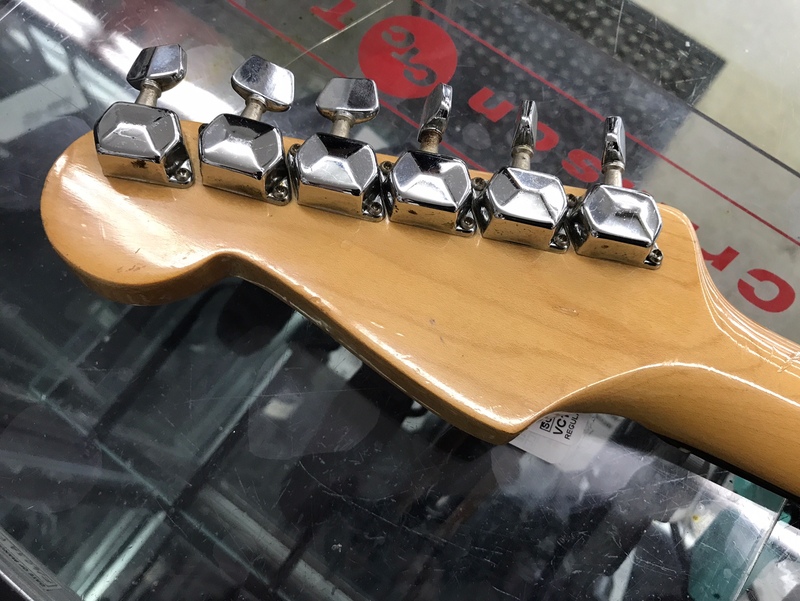 The tuners are likely to be "two peg" types rather than one screw on the corner, so finding like-for-like replacements might be tricky. What else? Hmm...the bridge plate and screws don't look original to me. I'm just going on one example that I owned back as a teenager...I bought it second-hand twenty or so years ago, and sold it on to someone here who doesn't seem to post any more.